Alain Prost is a French retired automobile racer and Formula One World Champion. He was born February 24, 1955 in Lorette, France. His nickname is "Professor". Prost is the one of the best Formula One drivers. He won the championship four times: 1985, 1986, 1989 and 1993. Only Michael Schumacher (7) and Juan Manuel Fangio (5) have won more times than Prost. 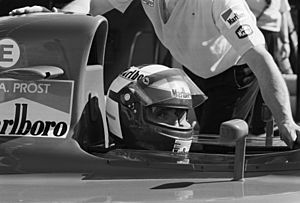 He started driving with McLaren in 1980. From 1981 until 1983, he was racing for Renault F1. Prost returned to McLaren in 1984 and raced for them until 1989. During this time he won his first three championships. Prost left McLaren to race for Scuderia Ferrari in 1990 and 1991. In 1992, Prost took a year off from racing. He returned to racing in 1993 with WilliamsF1. 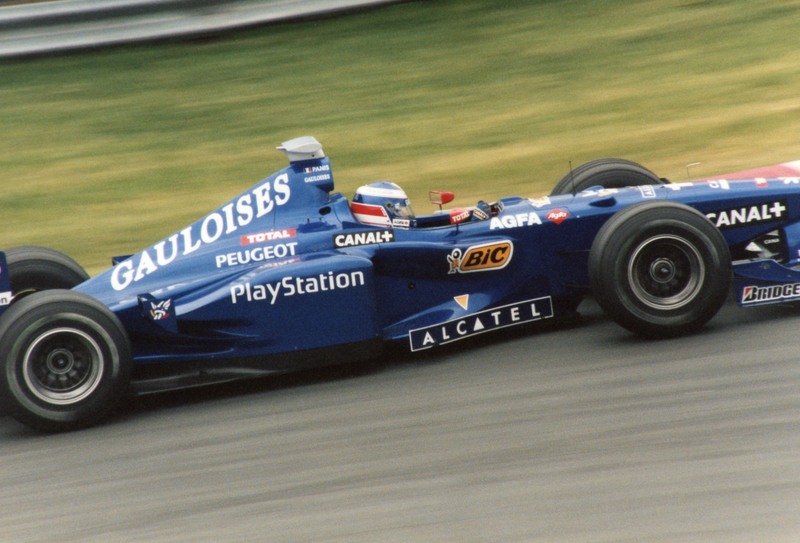 Prost retired from racing after winning his fourth title in that year. Prost raced in 202 Grand Prix races between 1980 and 1993. He held the record for most wins with 51 until 2001. He was in the pole position in 33 of those races and had the fastest lap time in 41 races. In his career, Prost beat nearly all his team-mates on total points, including five World Champions. Only in 1980 he lost by a point and in 1984 by half a point. Alain Prost Facts for Kids. Kiddle Encyclopedia.